Uncrossing is to take off crossed conditions. I would prefer a healing candle for those purposes that you describe. I'm just getting familiar with the site and after reading some of the various posts, I have a question. I've been doing love work on a man and i didn't consider before that he could possibly have had work done on him by other people and/or women prior to knowing me. If i have the church do an uncrossing candle on him, will that also remove the love work I've done on him? Should I uncross him and then start my love work over? An uncrossing candle, if your petition is to uncross him, will not "kill" your other work. In another post, it appears that your spells are working. So, if you are basing this just as a suspicion and nothing else, I wouldn't get all worked up. 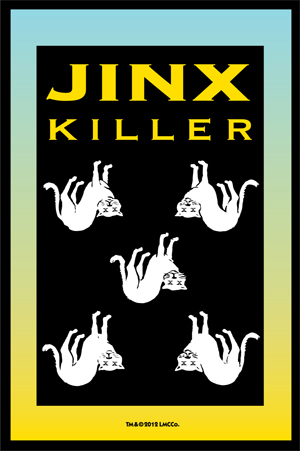 Uncrossing Candles and Jinx-Killer Candles are often set on our altars by people who feel they have been crossed or jinxed. They may arrive at this conclusion by their own knowledge of events or they may have have received a reading from a diviner who confirmed their suspicions in the matter. If no further enemy attacks are anticipated, a single candle may do the job -- or it may be followed by an upbeat, forward-looking candle such as Road Opener, Blessing, Attraction, or Victory. However, if persistent enemy attacks are expected to continue, we notice that clients tend to move toward a Protection Candle or Fiery Wall of Protection Candle after burning an Uncrossing or Jinx Killer candle. Hello! Would love a bit of advice on this. I used a honey jar on people, and believe it or not, when it came time for the actual encounter they were even more degrading, belittling and down-right evil than even before. Really not sure what happened with that. Did all as instructed. Burned the candles each of the appropriate days for weeks. At this point, I'm considering asking Missionary Independent Spiritual Church to set Reversing Candles for me about these people just so all that negativity (it was awful) can be fully returned to each of them (not a curse, just a return that's fair). I dont think you waited long enough to see results of the honey jar if it was completed 2 days ago. It can take longer. Many workers, myself included, work a honey jar each week till I get results. I light a candle Mod-Wed-Fri. Reversing with a candle is something that can be done, uncrossing is another option, as is healing incase their is something between you and these individuals that need to be healed. If the goal is still to sweeten them, and you plan to continue with the jar, I would go with healing and uncrossing. Thank you SO much, JayDee!!!!!! Hello I’m back I was wondering if I order a reverse candle from misc can my petition be reverse all negativity and evil away from John Doe instead of reversing it back to sender ? Yes you can ask it to simply be reversed, you can list what exactly needs to be reversed, you can name the person, not name the person, name sender or state it how you did. I would add a protection candle with this so as its reversed you are protected from anything returning to you again. You asked about Reversing candles and I would like to chime in with JayDee that if the petition is worded well and the goal of the candle setting is clear, these are among the most remarkable candles we light. They are designed to be self-regulating and self-working. With a Reversing candle, or run of them, an attacker, hater, enemy, rival, gossiper, liar, scammer, abuser, or any other evil-intentioned person gets exactly -- and only -- what is righteously deserved, leaving open the possibility of their reform or repentance and an automatic end to the curse. 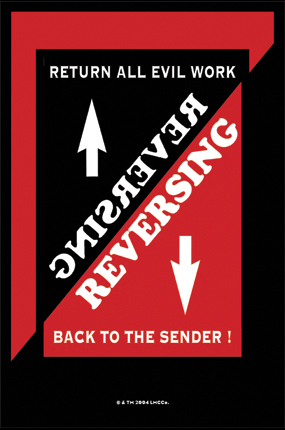 Reversing enforces the Golden Rule on them -- as they do unto others, so it will be done unto them. But mine got such a murky outcome in the report after it was lit, I really don't know what to even do right now. Did you do a reversing candle? Did you write a clear petition on what you wanted? Psalms 70- let them be turned backwards and put to confusion who desire my hurt..
Psalms 34- the Lord heard me and delivered me from all my fears... evil will destroy the wicket..
Psalms 64- But God shall shoot at the with an arrow; suddenly shall they be wounded (those who are attacking you). Thank you, but I didn't do it. I asked the church there to do it. What JayDee is asking refers to candle services at MISC as well as at-home candle magic. "Did you do a reversing candle? " -- Was that the title of the candle that you ordered? I see that it was, which is great. "Did you write a clear petition on what you wanted?" -- When you submitted your petition electronically, was it expressed in clear and unambiguous language? That i am unclear about, but JayDee's list of prayers is POWERFUL. Take his advice on that one. As to a Reversing candle burning darkly or uncleanly: A dark or sooty sign left in the candle glass can be a sign that the person or people against who the Reversing candle was set are protected, defensive, and may be fighting back. Not every antagonist gives up without a fight. Some fight back strongly. 1) To repeat the Reversing candle and see if the next one shows any progress or a cleaner burn. 2) To choose a different candle, for instance Damnation or Hot Foot, to see if a different angle of attack, so to speak, will be more effective. 3) To continue the candle services while backing the work up with traditional on-site contact magic, such as dusting the area where the person walks with Reversing Sachet Powder mixed with local dirt, to hide the colour, and calling out one of the prayers that JayDee suggested above. There is a thread about Reversing Sachet Powder at this forum if you want more information. 4) To continue the candle services while backing the work up with traditional altar-based conjure, such as preparing, or hiring a root doctor to prepare a mirror spell, either a flat one or a box-shaped one, with burial in a graveyard. There is a thread about mirror spells at this forum if you want more information. 5) To discontinue all candle services and only do contact magic and/or altar work with proper disposal as outlined aboce. 6) To walk away completely. The choices are yours, and, as always, I and all my fellow candle servers, wish you the best of luck. Why are you so amazing? Thank you (and that opening paragraph is so true). I'm kinda feeling the root doctor on the mirror spell on this one. so guess I should go over there? But before I do, quick question. If I was doing a honey jar for the last several MONTHS on these people/this situation, and I not only got no "sweetness" from them but a LOT of meanness, would I stop with the honey jar while the mirror spell was taking place and leave off the honey jar for good or....? Not sure on this one. Quite curious. Thank you. I am not Rev Ernest, but i do have a reply for you. I think that if the honey jar has not produced the results you wished for, it is time to release it. Go to running water or the ocean, open the jar, and with your bare hands rinse all the honey and all other contents out into the water and pray for sweetness to be spread all over the world. Wipe the jar clean, take it back home and recycle the glass. 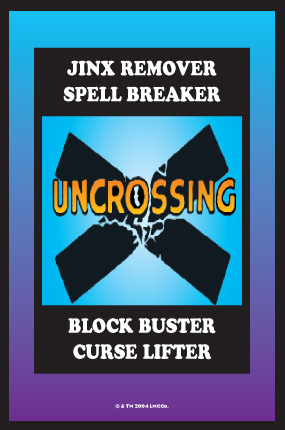 We now return this thread to our usual "MISC Uncrossing Jinx-Killer Reversing Candle Services" program. To lay a jinx or curse of bad luck to rest by destroying its effect. .
LOL - I love this response (though I do find it interesting because all that I've read has said that they take a long time to work, sometimes up to a year, keep at it, etc etc etc. But ok, cool. Will do and looking forward to hearing back from Rev Ernst on the mirror scenario and how to get that in motion asap. Thank you, catherine, for keeping this thread on topic. We here at MISC are used to clients who wish to use our candle services to back up the work they are doing themselves or having done for them by a professional rootworker at Hoodoo Psychics (HP) or the Association of Independent Readers and Rootworkers (AIRR), but we do not make or distribute honey jars or other items of that type. You can purchase them from the Lucky Mojo Curio Co. Yes, I understand that, Rev. Ernest, and the candle topic is over. I'm referring to what you noted in your message to me 1/8 at 1:05pm, item #4 and how to find a reputable "root doctor" to do that such as you mentioned. See what I mean???? Thank you. "Yes, I understand that, Rev. Ernest, and the candle topic is over." "The candle topic is over," huh? ROFLMAO!!! I am placing you on "Visitor" status so your posts will be hand-reviewed for proper thread placement. LOL!